A unique formula of Natural Beeswax and Abyssinian Oil designed to calm and control long or short hair. It can be applied to add structure, delicate hold and shine to shorter hair or control frizz or flyaways in longer hair. Use our Pomade for a natural touchable soft look. 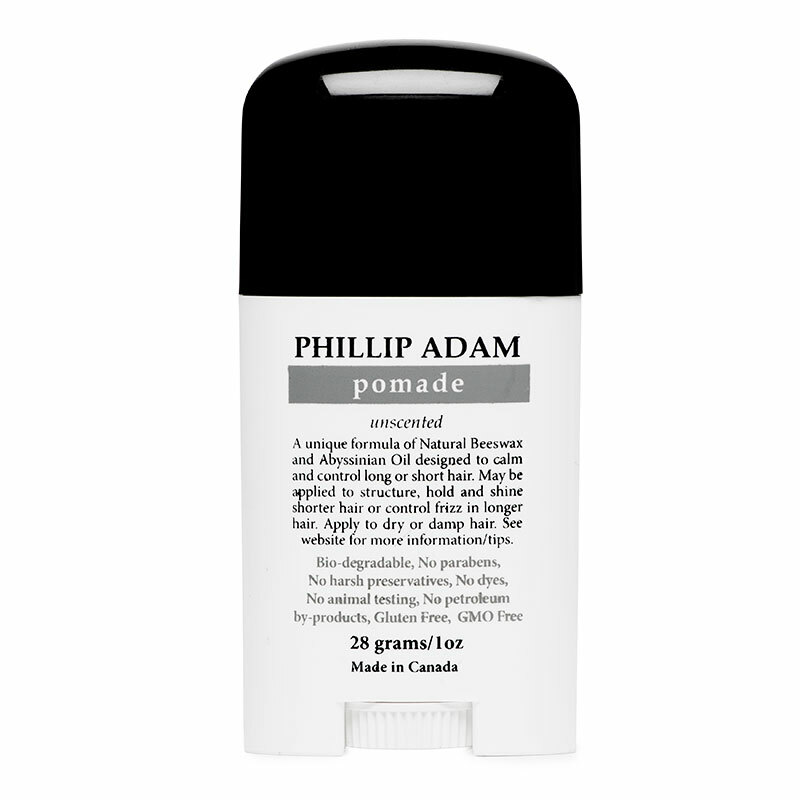 Putting Phillip Adam Pomade into the hair is easy. Swipe it onto your palm and wipe it onto the other hand, distribute it evenly and style the hair to the desired look. When it completely dries, which doesn’t take very long, there is a bit of firmness.